Known as the father of modern missions, William Carey was the first missionary to India who served for forty-one years translating the entire Bible into Bengali. He is also known for being a shoemaker, pastor, founder of the English Baptist Missionary Society, botanist, cultural anthropologist, educator, author, social reformer, and the first to bring the printing press to India. His incredible perseverance despite personal hardships sparked a missions movement that has carried throughout the line of Christian missionary heroes to disciple-makers today. This is the second blog in the series of 10 Christian Missionaries Every Christian Should Know, where we will be exploring how William Carey impacted the country of India and the history of missions. In 1761, William Carey was born to Edmund and Elizabeth Carey who were weavers by trade in England. When William was six, his father was appointed the parish clerk and village schoolmaster. William was also the oldest of five children. At a young age, William hungered for historical and scientific knowledge, although he never had any formal education after the age of twelve. He turned himself into a productive self-educator and an enthusiastic reader. He delighted in books of travel and adventure and had a special interest with plants so that he crowded his room with various specimens of them. He made frequent excursions into the woods and across the fields, always on the alert to discover and identify a new bird or animal or plant. Even as a young child, he showed determination in completing anything he ever began, such as when he broke his leg after falling out of a tree to study a bird’s nest and went to retrieve it a third time with the cast on his leg. However, Carey’s health did not permit him to engage in agricultural pursuits, and when he was fourteen years old, his father apprenticed him to a shoemaker. He became an honest and skillful workman and later, he himself became a shoemaker, an occupation of which he was never ashamed. His experience of coming to Christ was similar to that of David Brainerd and Martin Luther, who, under conviction, saw that the root of their trouble lay in the heart. When John Warr led him to Christ, he had no idea that he was winning one who would sound the call of God to a sleeping church and add the jewel of India to the diadem of Christ. After his conversion, William began to study the Bible while he worked on leather shoes. Having a natural gift for learning new languages and eager to know exactly and fully what the Scriptures said in its original language, he taught himself both Hebrew and Greek. Before he was thirty-one, he was able to read the Bible in seven languages including Latin, Greek, Hebrew, Italian, French. William Carey’s favorite passage of scripture was Isaiah 54, especially verse five: “Thy Redeemer, the God of the whole earth shall He be called.” This chapter would be a constant encouragement to Carey during his many years of ministry, and he was often found singing, praying, or meditating on these precious verses. At the age of 19, William Carey fell in love with Dorothy Plackett, who was six years older than him, and they were married on June 10, 1781. They had seven children together, three of whom died at a young age. She was a faithful and devoted wife, although she was illiterate and never shared in William’s great missionary passion. Having grown a reputation for his knowledge of the Bible, William was asked to preach every other Sunday at a Baptist church in 1783 in a nearby village while he continued to support his family through his shoemaking business. A few years later in 1785, William moved his family to Moulton, England, where he became the local schoolmaster. During this time he was also asked to preach at a local church, where his annual salary was $50. Since this was not enough to support his family, he continued working as a school teacher and a cobbler. Shortly after his conversion and upon becoming a pastor, William read a book called “An Account of the Life of the Late Rev. David Brainerd” about David Brainerd’s missionary work among the Native American tribes in the United States, written by Jonathan Edwards. He also read The Journals of James Cook, the explorer, which most people in England would consider were merely thrilling stories of adventure. For the next five years, William would begin to devote his spare time to making maps of faraway lands and gathering data on their location, size, population, and religions. Both of these written accounts began to spark something in William and he became deeply concerned with sharing the gospel with people who did not have any access to a Bible or a church. In 1789, William Carey became the full-time pastor of Harvey Lane Baptist Church in Leicester, England, where he found the church in a state of division, dishonor and spiritual infirmity, due to the worldliness brought in by the members. He prayed and preached fervently, but conversions were impossible in such an atmosphere and he became heartbroken for those who did not know Christ as their Redeemer. Eventually, in September 1790, Carey proposed that the church membership should be dissolved, and that a solemn covenant embodying New Testament faith, life and discipline be prepared, and that only those accepting this covenant be accepted as members of the newly-constituted church. Upon doing this, the church was revived, the fruits of the Spirit could be clearly seen in the lives of believers, and there were many within the congregation that responded to the gospel for the first time with eager hearts. William got to lead his own sisters, then his wife, and many others into the breath-taking experience of redemption. In his zeal for souls, he frequently made preaching trips to surrounding villages and laid the foundations of a number of churches. He quickly became one of the most well-known pastors within the Baptist association. Carey did sit back down, but he could not be still. He used his influence to provoke people to take the gospel to places where it had never been. He was the first Baptist preacher to believe that the Great Commission found in Matthew 28:18-20 was a binding command on every generation of Christians. In 1792, William Carey published his missionary manifesto, “An Enquiry into the Obligations of Christians to use Means for the Conversion of the Heathens.” He dealt with one all-absorbing theme, namely, the responsibility of the body of Christ to launch out upon its long neglected, world-wide mission. His conviction that the missionary enterprise is the Church’s highest and holiest endeavor continued to increase as he pictured the desperate condition of the world where Christ was not known and enthroned. That moment became a significant moment in the history of Christian missions. Andrew Fuller, Carey’s friend, saw God’s heart for the world and joined William in demand for action. At the next minister’s meeting, the Particular Baptist Society for the Propagation of the Gospel Amongst the Heathen was founded, which later was called the English Baptist Missionary Society, now known as BMS World Mission. Their goal was to raise funds and train missionaries. This was the beginning of missions as we know it today and marks the birth of the modern missionary movement. After several years of working as a shoemaker and serving in pastoral ministry in England, William Carey and his family set sail for India on a Danish ship with Dr. Thomas and a few others in the spring of 1793. After five months of living on stormy seas, during which William diligently studied Bengali, he and his family arrived in Calcutta, India in November of 1793. Carey’s first impressions of India put his heart in even more distress over the people’s need for a Redeemer. He was deeply upset by the Indian’s deep-rooted religious nature expressed by the innumerable shrines, the offerings of food and flowers, and the incredible sufferings they were willing to endure in their quest for spiritual peace. He was most outraged by the terrible practice of Sati, which was a traditional funeral custom where if a man died, his body would be burned, and his wife, or wives, would throw themselves onto the burning pyre in order to kill themselves. Sati was practiced for thousands of years in India because women were considered to have no value apart from their husbands. They believed that they had to go to the spirit land to continue serving their husbands after their death. If a woman did not want to take part in the ceremony, she was often forced onto the burning pyre to die. William Carey fought against this inhumane practice for more than thirty-five years until December 1829, when Sati was banned in the entire British Empire, including India. William was asked to translate the degree of Sati’s abolishment into Bengali, thus severing this tradition from Indian culture. The next seven years of missionary labor were extremely difficult, but in 1799, Carey was joined by two other missionaries, Joshua Marshman and William Ward, and the group became known as the Serampore Trio. In January 1800, he moved his family to the Danish colony of Serampore, where missionaries were looked upon more kindly than in those parts of India where the East India Company was hostile towards missionaries. At the end of the year, Carey baptized the first believer, Krishna Pal, who was previously a Hindu. William and his missionary friends rejoiced to see God’s faithfulness in the small beginnings. At Serampore, William Carey established a missions base with a printing press and published his first translation of the New Testament in Bengali. He and his team also translated the Bible into 44 local languages, developed multiple grammars and dictionaries, and prepared a translation of three volumes of the Hindu epic poem Ramayana. In all their work combined, the Trio started 26 churches and 126 schools. Later, they started medical missions, savings banks, a seminary, a girls’ school, and a Bengali-language newspaper. Up at 5:45, reading a chapter in the Hebrew Bible, “private addresses to God,” family prayers with the Bengali servants, reading Persian till tea, translating Scriptures in Hindustani from Sanskrit, teaching at the college from ten till two, correcting proof sheets of Bengali translating of Jeremiah, translating Matthew into Sanskrit, spending one hour with a pundit on Telinga, at seven collecting thoughts for a sermon, preaching at 7:30 to forty persons, translating Bengali till eleven, writing a letter home, reading a chapter from the Greek New Testament and commending himself to God as he lay down to sleep, is a sample of one day’s work (1). Many more Hindus were coming to Christ through the missions base in Serampore, and the conversion of Hindus to Christianity posed a new question for the missionaries concerning whether it was appropriate for converts to retain their caste. In 1802, the daughter of Krishna Pal—the first believer—a Sudra, married a Brahmin. This wedding was a public demonstration that the church refused the caste distinctions. William Carey also saw it as his duty to help improve the quality of life for the people of India. He felt that he needed to do something to serve the people in a tangible way. One major way was to help create jobs. Carey partnered with English businessmen to establish factories, which were responsible for creating thousands of jobs for the locals and transforming society. He also encouraged the use of Indians as missionaries among their own people. In 1818, the mission founded Serampore College to train indigenous ministers for the growing church and to provide education in the arts and sciences to anyone regardless of caste or country. The King of Denmark granted a royal charter in 1827 that made the college a degree-granting institution, the first in Asia. In 1820, Carey founded the Agricultural and Horticultural Society of India and became its president during 1824-1826. His goal was to improve the land by encouraging a superior mode of cultivation by using the best method of properly cropping the land and the best rotations of crops. He also wanted to introduce new and useful plants, improve the implements of farming and the use of animal stock, and bringing wastelands into a state of cultivation. Today, it is known as the Agri Horticultural Society of India. Carey’s devotedness to missions is stated within the Serampore Compact, which he wrote with the Trio, establishing the principles upon which their missionary community would be formed. These principles were communal living, financial self-reliance, and training of indigenous ministers. Today, these principles form the basis of modern day missions. William’s greatest focus was intensely on the work of translating the Bible into local languages and helping people become literate so that they could read God’s Word. Yet, with great work comes great suffering and sacrifice. Throughout his ministry in India, Carey faced opposition and resistance from businesses and the Indian government. Several of his children died from various diseases at young ages, and his first wife became mentally unstable until her death in 1807. In 1808, William married Charlotte Rumohrm, who despite her frail health, was a great encouragement to Carey because of her delight in the scripture and her desire for the Indians to know the Lord intimately through their heart language. She and Carey worked together on translating the Bible because she was also fluent in several languages. In 1812, an unfortunate fire at the mission printing shop destroyed thousands of manuscripts. Carey and his team had been working for more than 15 years to translate the entire Bible into several dialects as well as translate several other literary projects. He lost years of his life’s work. He and his team were able to re-do much of the work within the course of seven years, yet much of the previous work was never reattempted. A couple of months later in 1812, both Adoniram and Ann Judson arrived at the base and were baptized as Baptists by William Carey and William Ward. However, in 1813, war broke out between America and England, and the Judsons were forced to move to Burma. Two years later, in 1823, Carey married Grace Hughes, who was several years younger than him but was a devoted helpmate in ministry. William Carey passed away peacefully on June 9th, 1834, in Serampore, India. His reputation has spread across Europe, India, and the USA. He was known as a man with a deep love for God and a deep love for the people of India. For forty-one years, Carey had persisted in his work to capture India for Christ. When he died, there were over thirty missionaries throughout India, forty native teachers, and approximately six hundred church members. Today, there are hundreds and thousands of followers of Jesus Christ and missionaries in and from India. Indigenous Christian leaders are being raised up in Serampore College and the Agri Horticultural Society of India is still operating today. The Bengali Bible has been updated to a newer translation from Carey’s translation and is being used among Christians in Bangladesh. There still remains books of the Bible in the forty-plus translations that Carey and his team worked on in different parts of the world. William Carey will be forever held in high honor as a true friend and benefactor of India. Had there been no William Carey, it is uncertain whether there would have ever been missionaries such as Adoniram and Ann Judson, Lottie Moon, or Bill Wallace. His story and work in India have greatly impacted the world of missions today and continues to influence missionary entrepreneurs and how missions are run overseas. 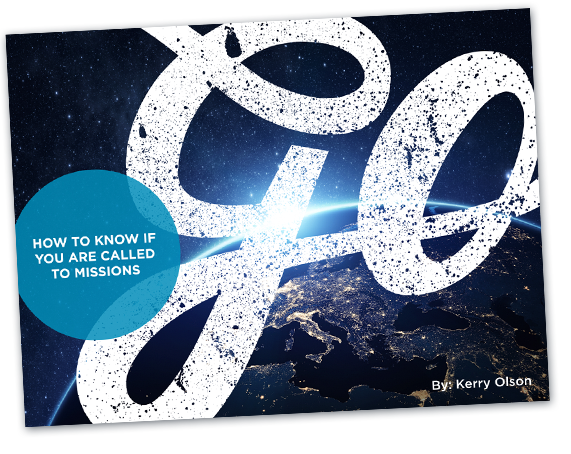 Learn more about how Christian missionaries have changed the history of missions and how their stories are still impacting the world today here. William Carey was an ordinary man from England who believed in a God with whom all things are possible. Often we can idolize the great Christian missionary heroes of the past, but William was a person just like us, who was saved by grace, and having experienced the Father’s heart for the unreached, knew that he could not stand still and not share His love with others. His story is a wonderful testimony for us to remember that through tiny steps of obedience and faithfulness, we can join God in the work He is doing, and trust that He is the one who will impact the world for His name’s sake.